It’s October, and although the month may signify the changing of the seasons with the clocks going back at the end of the month, Madeira’s events calendar is as busy as ever. To kick start the month the increasingly popular Madeira Nature Festival takes place from the 2nd – 7th, with the aim of encouraging visitors to the island to take part in a week-long series of outdoor events, giving participants the opportunity to explore and experience some of Madeira’s most dramatic land and seascapes or view the island from on high. 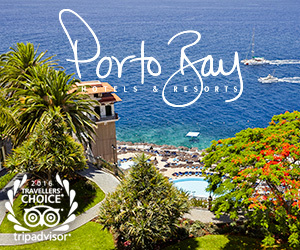 As such, the tourist board, who organise the event have put together an action-packed programme of activities both in the city and further afield; visitors can book their nature activity at the organisers stand at Largo da Restauração, Funchal. Those less energetically inclined will have ample opportunity to enjoy the many displays, traditional food, drink and dancing. Machico holds one of the islands most important religious festivals the ‘Festival of Miracles’ on the 8th and 9th. During the floods of 1803, the local chapel in Machico was destroyed and its statue ‘Our Lord of Miracles’ and several hundred people were swept out to sea. Although stories differ, the statue reappeared and was found three days later, where it was quickly taken to the Sé Cathedral, Funchal, until it was returned to its rightful home in 1813. The highlight of the festival is the candlelit parade through the town, and as with all Madeiran festivals, there will be an abundance of local food, wine and entertainment. Moving on the Organ Festival held between the 19th and 28th comprises of twelve concerts performed in some of Madeira’s most beautiful churches including the Sé Cathedral, Convent of Santa Clara and the Church of São Pedro. These sacred places create ideal settings and acoustics to hear these beautiful instruments, many dating back to the 18th and 19th century and of which are of Portuguese, Italian and English origin. Performances also include national and international artists accompanied by choirs, classical musicians and solo artists. 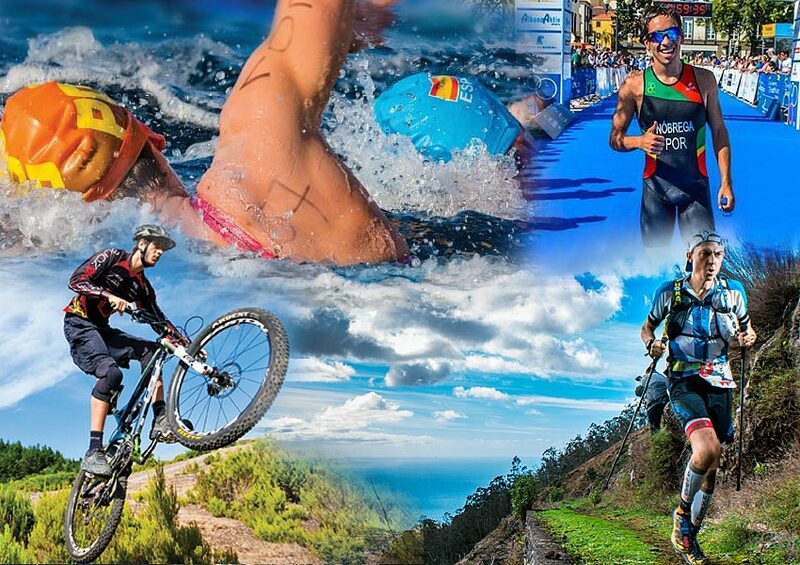 On the 27th Madeira hosts the European Triathlon Cup. This event pushes athletes to the limit as they swim 1500m, cycle a 40km route followed by a 10 km run attracts some 150 athletes from Europe and the rest of the world. The event also incorporates the Portuguese Cup, which attracts a large number of national and regional competitors. Following closely in its running shoes is the Funchal Eco Trail, which also takes place on the 27th. The course includes urban and rural routes and is becoming increasingly popular with competitors choosing from 80km, 40km and 18km routes. If running isn’t your thing, then Madeira’s warm seas will once again play their essential role in the Madeira Island International Swim Marathon (MIISM), which again takes place on the 27th. The competition's aim is to attract more and more open water swimmers to the island through a varied programme of activities and races including the 5km open water race, the Ribeira Brava to Funchal and the shorter Câmara de Lobos to Funchal open water races, as well as stand up paddleboard competitions and other sea and land activities. Finally, the month ends on a high note, as the island gets ready for the Chestnut Festival on the 31st of October and 1st of November at Curral das Freiras. Rumour has it that medieval chestnut bread could last a year! 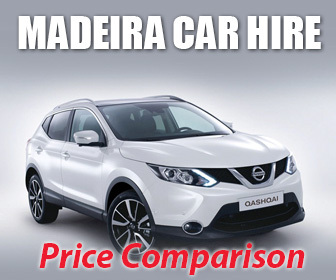 However, in Madeira, the celebrations are slightly less chewy as they celebrate all things chestnut including soups, cakes, liquors and the humble chestnut itself, all in Madeira’s entertaining and vibrant way. Of course, October cannot come to a close without celebrating Halloween on the 31st. Although not a traditional celebration, Madeira enjoys all things spooky as local bars and restaurants take part in this very special night.